Yesterday in the morning I spent some time pruning, then after lunch the surface of my garden got dry enough that it wouldn't stick to my boots, so I planted a few seeds. Then the wind came up and it started to rain, so I went inside. The rain turned to snow and this is what it looks like here this morning. I guess my seeds got watered, but it is most likely too cold for them to grow. Wow. Hope you thaw out soon. Our last frost date here is Friday the 15th. I'll be sowing and planting the summer crops in earnest over the next couple of weeks. Very pretty but I suspect it'll be a few months before you're picking any fruit off those trees. Peas, cabbage, broccoli, kale, kohlrabi, radish. ^What my house feels like after spending $10,000 on a new AC system. What are you growing in your orchard? I'm thinking of planting a fruit orchard and can't make up my mind which fruits to start with. start with what fruits you like to eat, both fresh and cooked. usually things like apples or pears or cherries. Yeah Jal, I was wondering the same thing. After reading a post hear last summer, I really want to try growing a pawpaw tree. It's like a northerner's banana (at least from what I've heard )! I've seen in some catalogs that there are fruit trees that are grafted to give 5 or so different kinds of fruit on the same tree. Now, that would be interesting. a winesap apple, 2 macintosh apple, 2 Stanley plum, 2 greengage plum, a sweet cherry, and two apricot trees. In other areas I have Nanking cherries, choke cherries and a couple carpathian walnut trees that don't seem to like the climate. I don't know if they will ever make anything. I also have one small black walnut tree and three small peach trees. Time will tell if the peaches make it. 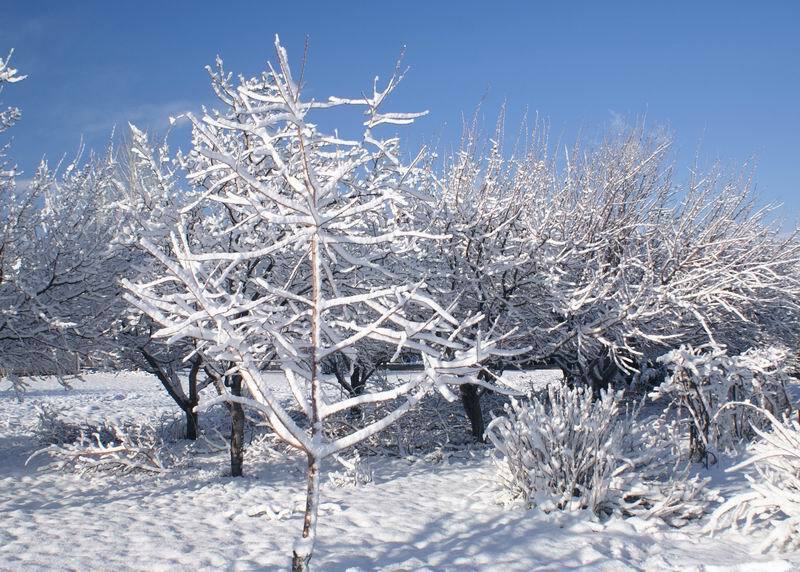 When choosing fruit trees, yes, choose something you like, but more important is look at its hardiness rating and see if it has a good chance of surviving your winters. Peaches are borderline here and I have had trees get to bearing size then we get a 20 below winter and they die. Sweet cherries are borderline here, but my one tree has done ok so far. I am hoping for a few cherries this year. The apples and plums have done really well here. I have looked at those grafted trees with several varieties on them. That may be a fun tree, however if you lose a limb you lose the variety. It would be great for a small lot. Forgot to mention I also have some Canadice Grapes, and raspberries. There is a pawpaw tree forum on Yahoo chat. If I understand correctly, the pawpaw seems to work best in constantly moist and possibly boggy areas. In nature they are usually found along creek banks or the edges of river beds. I've always been interested in them but I don't think I can grow them in my hot arid climate unless I want to leave a water hose slowing dripping on the roots around them. I don't have a problem determining which fruits I would like to grow, but it is more difficult determining which varieties of those fruits are suitable for my climate. When we lived in Louisiana, they had groves of a citrus tree called Satsuma. The fruit had a loose skin and easily segmented like a tangerine. It could easily withstand the freezing weather and not die like a typical orange or lemon tree. I'm thinking of trying to grow some Satsuma in protected areas around my house. I know some apple and pear varieties would not make it in my area because we have a lot of insects which would love for me to plant them. I think most cherry and plum trees would do well because they bloom early and seem to withstand a few late frosts and still produce fruit. I have a lot of wild plum trees on my property which produce heavily. The fruit is to tart for my taste but makes great jelly and preserves. The raccoons, possums, and coyotes love them and spread their seed all over the place. I guess I was wrong about the pawpaw. I just googled it and wiki says it prefers well drained areas. We got more rain over night. I don't think it will ever dry out enough to plant. I bought 25 asparagus crowns the other day and my ground is just squishy. Don't know how I will get these planted. We have had 5 inches of rain this month of April. That is highly unusual for this area. Sunrise over my garden this morning, April 21. Stunning shot Jal! If I could have a sight like that every morning, I would get up an hour earlier just to watch it. It reminds me of a channel on television that most people are not aware of. I think it is called "sunrise" or something like that. 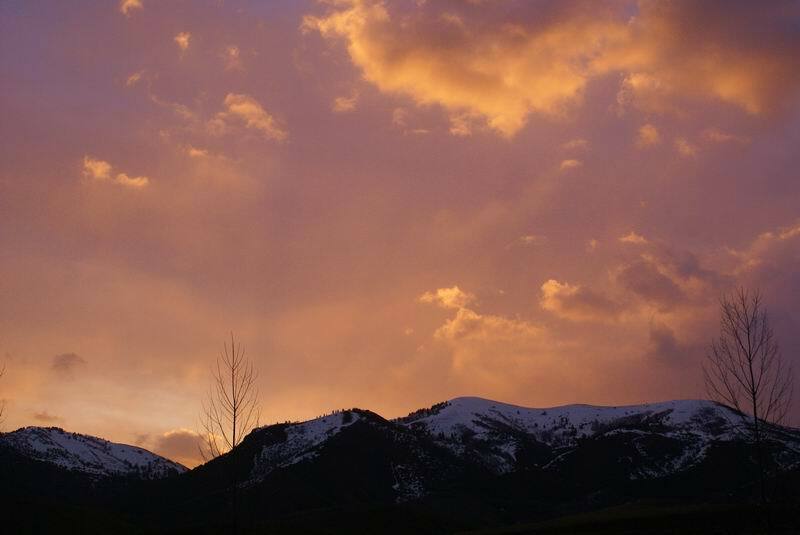 It is simply a video camera shot with sound, of different beautiful sunrise effects as they occur. You get the sound of the rain, or ocean waves, or birds building a nest or caring for their babies. I don't watch it often, but it is a good way to start the day peacefully. is the show your talking about called sunrise earth? i love that show. i got the dvd from someone. just have it on in the background all the time when im inside doing something else.